NetTuts+ team have produced great tutorial about building your first HTML5 game with a little help of Box2D. Must see for all who are starting HTML5 road. Tutorial created by Mikko Haapoja and covering HTML5 3D magic. Mikko goes into deep detail on how to build small yet efficient canvas-based 3D engine. Great advanced tutorial. In this tutorial you’ll see how to build a simple space-based asteroids game using the Impact HTML5 game engine, one of the more robust engines out at the moment. 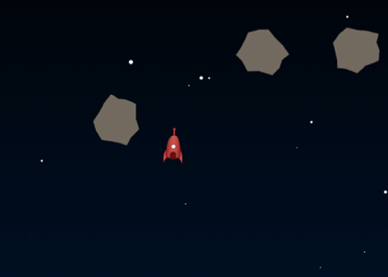 After finishing this tutorial you’ll have fully working HTML5 based space game. Really useful piece on adjusting your games to different screen sizes and various media game players will use to play your HTML5 game. Variety of Internet enabled devices out there is overwhelming and you have to make sure your game looks good on top ones. New to HTML5? No worries, the best way to learn is by creating simple game. Michal Budzynski has created superb 5 part tutorial where he step by step walks through Doodle Jump type game design and development with help of HTML5. Jason Croucher explores woods, noises and wild animals while developing HTML5 based game. Nicola Hibbert created good tutorial about optimizing your HTML5 games. She goes through many steps and explains performance optimization techniques plus what value optimization brings to game developers and players. Another 5-piece tutorial. Aditya Ravi Shankar expert HTML5 game developer has created it for those who are starting with HTML5 games. This is over 1 hour long video from Google Tech Talk where Rob Hawkes talks HTML5 multiplayer. Many good points to take away.